Auto insurance covers medical costs and property damage after a traffic crash, but what happens if the driver who injures you has no auto insurance? Here in Massachusetts, if a negligent driver has no insurance and injures you, can you be compensated for your medical expenses? Can a Boston car accident attorney help? Massachusetts requires drivers to have uninsured motorist (UM) coverage to protect against hit-and-run drivers and against drivers with no auto insurance. Nevertheless, according to the Insurance Research Council, nearly one in ten drivers operate their vehicles without insurance. WHAT AUTO INSURANCE COVERAGE IS REQUIRED IN MASSACHUSETTS? Few states require drivers to carry this much minimum automobile insurance coverage, but if you have been injured in a traffic crash in this state, what will actually be covered? WHAT DOES MINIMUM AUTO INSURANCE COVERAGE ACTUALLY COVER? Bodily injury coverage (BI) pays damages to someone else who is injured if you cause a motor vehicle accident. Bodily injury insurance will cover the expenses that you are liable for legally if your own negligence is the reason for a collision. Uninsured motorist coverage (UM) pays for the damages you and your passengers suffer if you’re involved in a crash with a negligent uninsured driver or a hit-and-run driver – or if you are injured by a negligent uninsured driver or a hit-and-run driver while you are a pedestrian. If you’re involved in a serious accident, the minimum coverage probably will not be enough. SHOULD YOU HAVE UNDERINSURED MOTORIST COVERAGE? Higher limits may cost more each month, but if you’re in a catastrophic collision, the extra expense will be worth it. One option that Massachusetts motorists should consider seriously is underinsured motorist (UIM) insurance coverage. While bodily injury and uninsured motorist coverage are mandatory in this state, underinsured motorist coverage is not. It’s optional, but it’s a smart option. UIM insurance will pay for losses that the policyholder and his or her passengers may suffer if they’re injured by a negligent motorist who has minimal insurance coverage that is insufficient to cover all of the damages. In other words, UIM coverage can bridge the gap between an at-fault driver’s policy limits and the real value of your injury claim. The point is that as a Massachusetts motorist, you should have automobile insurance that’s sufficient for you and your family members – if you need it. Massachusetts is a “no-fault” auto insurance state, so your own PIP insurance pays for the first $8,000 of your medical expenses if you’re injured in a crash, and it does not matter which driver was at-fault. When your total personal injury claim surpasses the coverage that your PIP insurance provides, you’ll need to speak about your case with an experienced Boston personal injury attorney. Before you bring a personal injury lawsuit against a negligent and uninsured or underinsured motorist, have your injury attorney review every detail of the case. Many drivers have only the minimum auto insurance – or none at all – because they’re basically broke. WHEN SHOULD YOU FILE A CAR ACCIDENT LAWSUIT? Your attorney can determine if someone else may have liability for your accident and injuries. If the driver of the vehicle was not its owner, in some cases, the owner of the vehicle may be liable – and a personal injury lawsuit may be the right step to take. But when a negligent driver with no auto insurance or with only minimal coverage is the only party with liability for your accident and injury, a lawsuit may not be advisable. The best strategy is having – as far as possible – sufficient auto insurance coverage for yourself and your family. If you are injured by a negligent driver in Massachusetts, after you’ve been treated by a doctor or another healthcare professional, arrange immediately to talk with a qualified auto accident attorney about the best way to move forward legally. 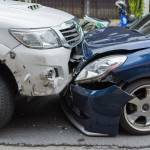 WHAT WILL AN AUTO COLLISION ATTORNEY DO ON YOUR BEHALF? A good accident lawyer will negotiate for the maximum available compensation from your own insurance company, and as mentioned previously, your attorney may also be able to identify other parties with liability – and help you with a personal injury claim. Your traffic accident lawyer should be an aggressive negotiator, someone who is quite familiar with auto insurance companies and the tactics they use to delay or avoid making payments to the injured victims of negligence. If you’re injured in a traffic crash, your attorney will explain your rights, review the facts of the case, determine which party was at fault, and make sure that you receive the monetary reimbursement that you deserve. WHAT SHOULD YOU LOOK FOR WHEN YOU CHOOSE AN ATTORNEY? Usually, the victims of negligent drivers are offered an acceptable settlement within weeks, and the entire matter is handled out of court. Nevertheless, your accident attorney should be an experienced trial lawyer as well as an experienced negotiator. Before you go to trial and ask a jury to order an insurance company to pay you, make sure that your attorney has plenty of experience – and success – handling personal injury trials. 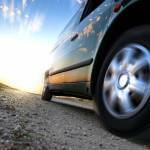 WHEN SHOULD YOU SEEK A BOSTON MOTOR VEHICLE ACCIDENT LAW FIRM’S HELP? There’s one more item that is critical to remember. It is imperative to have an accident attorney working on your behalf as soon as possible after an injury caused by another motorist. If an insurance company contacts you directly, refer the company back to your attorney, and make no other statement whatsoever. Let your attorney do all of the talking and negotiating. 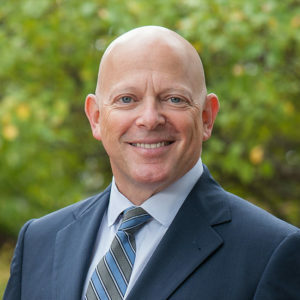 The final amount that an accident victim receives in a settlement or a judgment may be limited in some instances by what is actually, in fact, available, but a good personal injury lawyer will aggressively work to make sure that a victim of negligence is fairly and adequately compensated. Again – having a good attorney’s advice right away is imperative. You’ve just read a general introduction to personal injury cases involving underinsured and uninsured drivers, but every case is different. You’ll need specific, personalized legal advice, and when you’ve been injured by negligence, obtaining that advice – immediately – is your right.